Item Type: PVZ. Type: Gargantuar Plush. Style: Plants vs Zombies Plush. Model Number: Plants vs Zombies. Model Number: Plants vs Zombies Plush Toys. Features: Plants vs Zombies Toys. Size: 30cm. Item Type: Plants. Material: Short Plush. Filling : 100% high quality PP cotton( through CE certification ). 12 supersoft Pikachu gives the very best of cuddles and is great to take with you wherever you go! Suitable from 2 years. We go above and beyond to ensure you receive the best level of service. For ages 2 years and over. Material; Plush&pp cotton. Cute plush dolls. 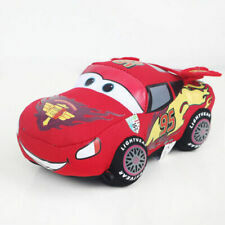 Brand: UnbrandedCharacter: Lightning McQueenSize: 6"
Order= One Plush Toy. Type: Stuffed Animal. And we will do our best to solve the problem and give you a satisfying answer. Slight variation of color may exist due to different computer monitor and light. Wash temperature :Under 40°C. (less than 86 °F). Printing : Front side printed, back side is pure hemp color. Material :50% cotton, 50% polyester. TypeStuffed Animal. You may also like. Age Level2 Years and Younger. If you need. Spain, France. We will resolve it for you in 48 hours. If you find any quality problems when you receive your item/s. If you need. Spain, France. We will resolve it for you in 48 hours. If you find any quality problems when you receive your item/s.